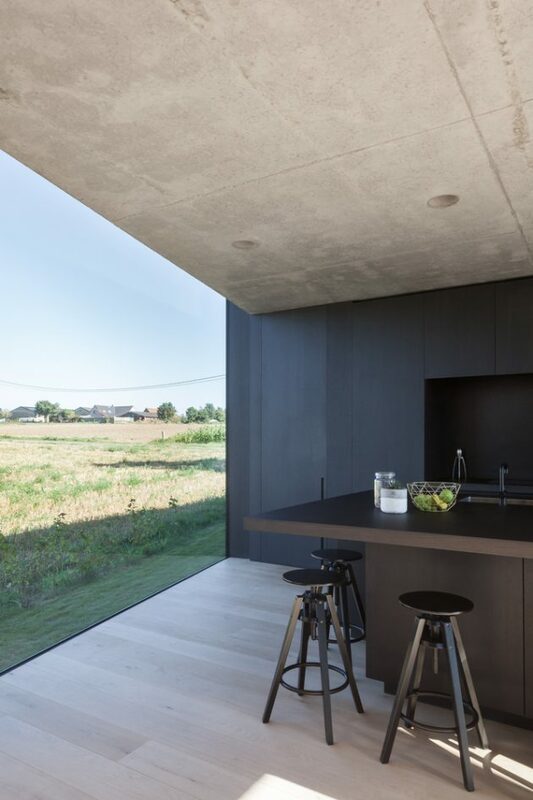 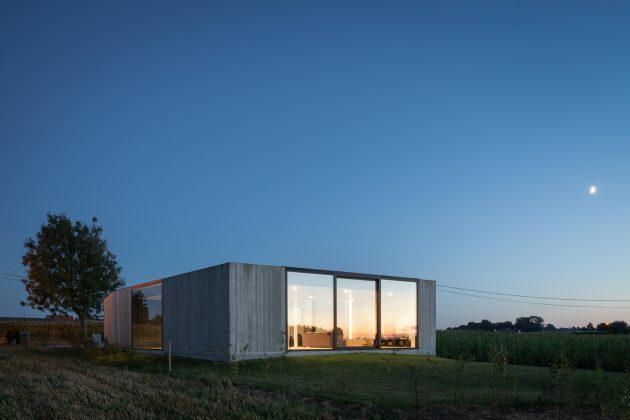 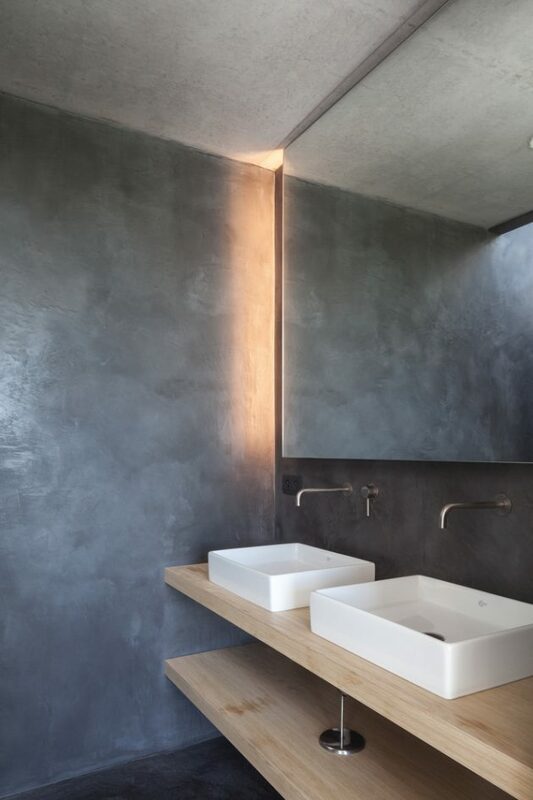 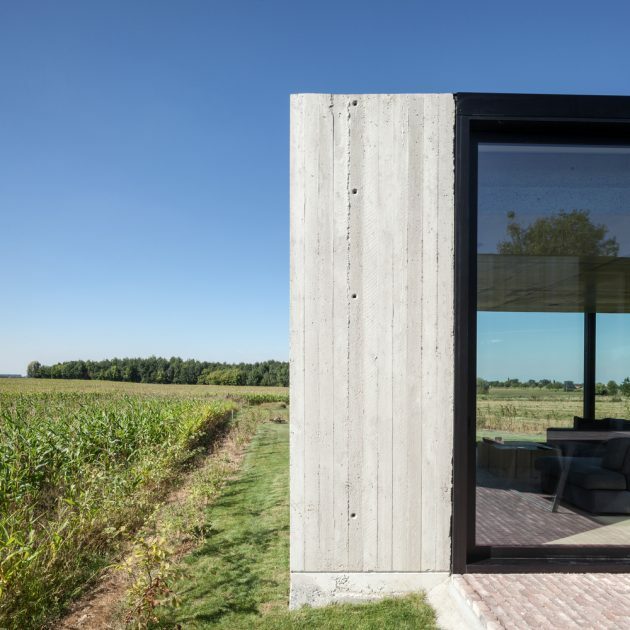 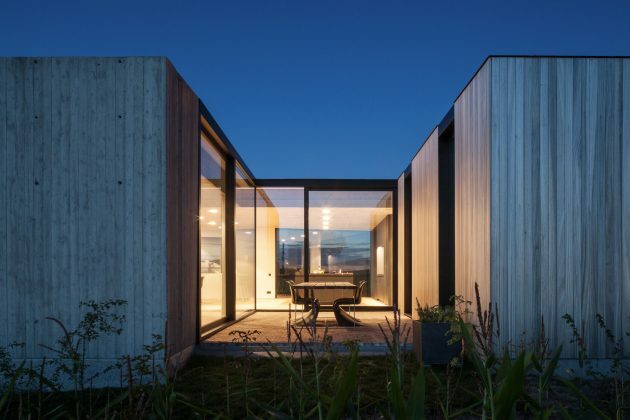 TOOP architectuur, a local studio, have designed a low-lying concrete and wood house located in rural Belgium, in Westouter, a village in the Heuvelland municipality. 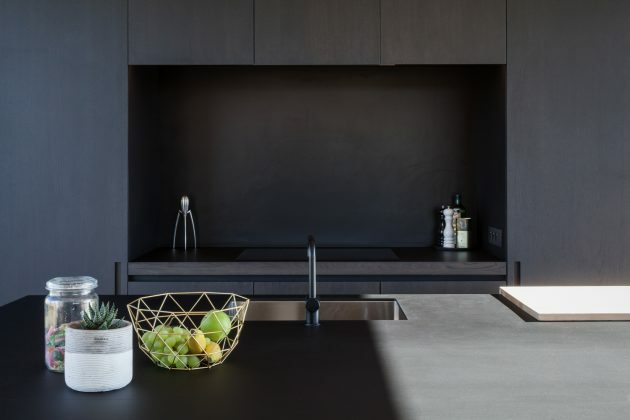 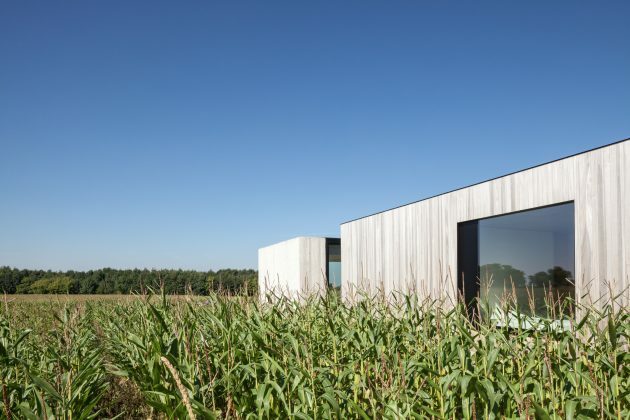 The minimalist facades of this house are interrupted by large windows that lighten the entire interior with natural light. 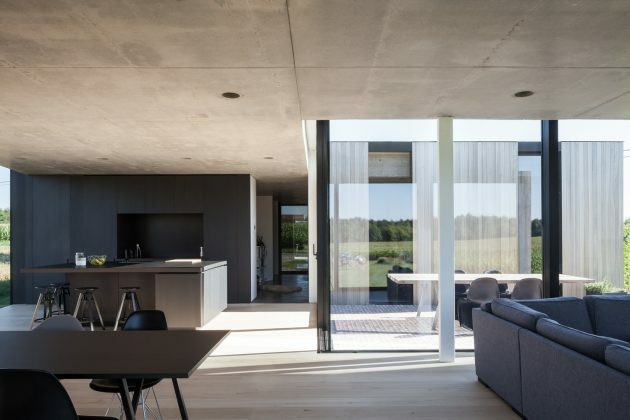 There’s also a central patio that separates the living and sleeping areas. 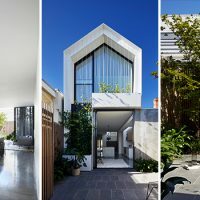 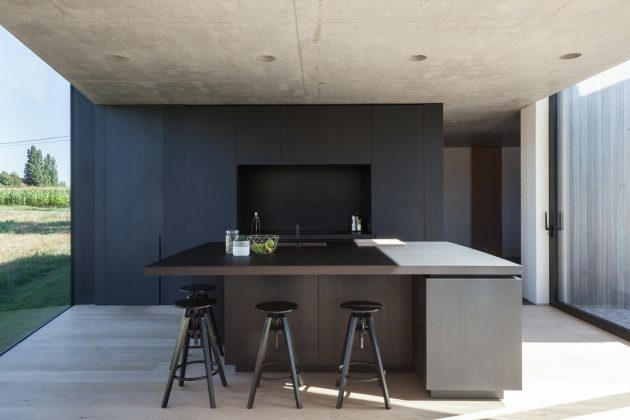 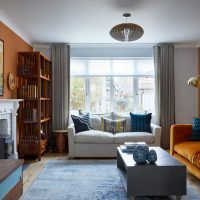 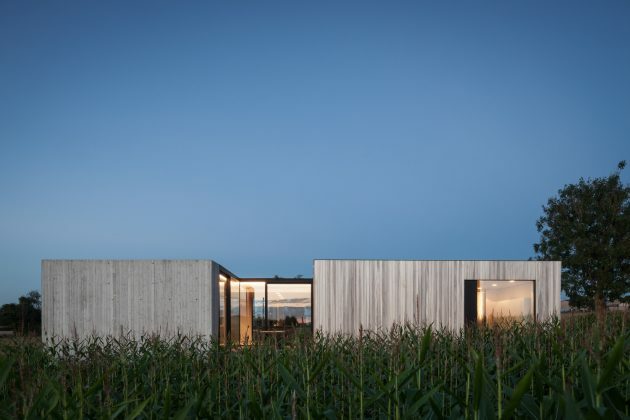 The building is located on a long and narrow plot that stretches away from the road, having the house positioned at the end of a short cobbled driveway. 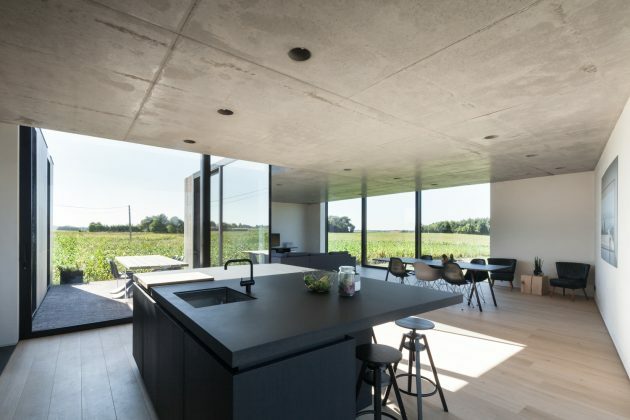 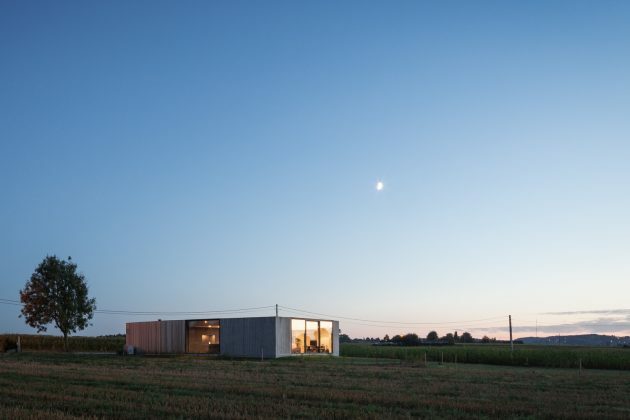 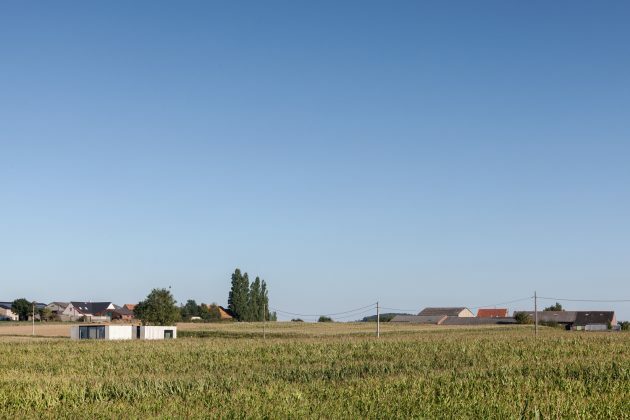 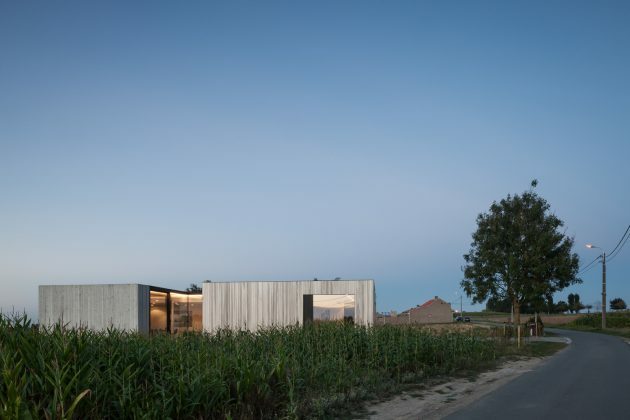 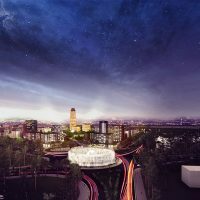 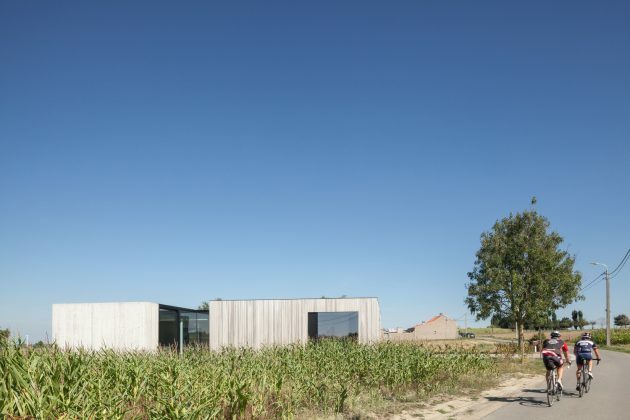 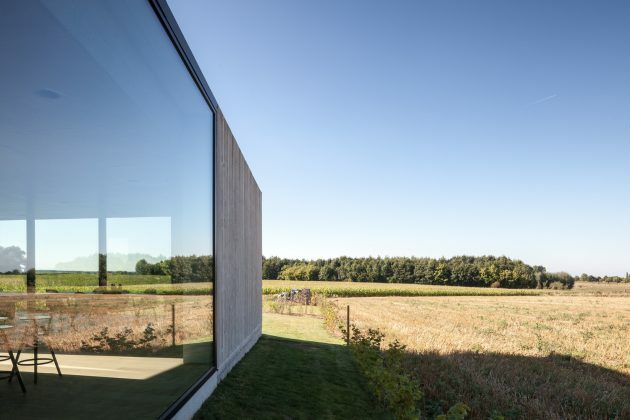 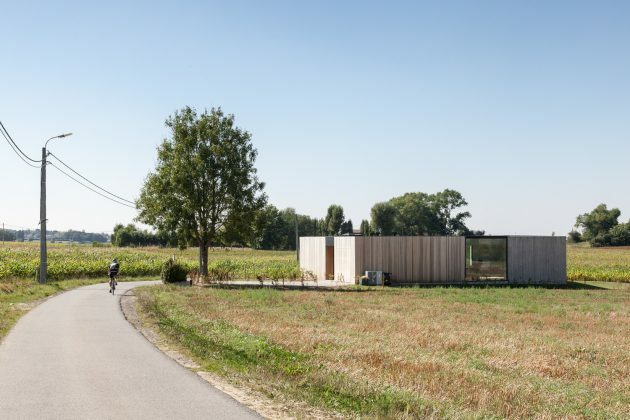 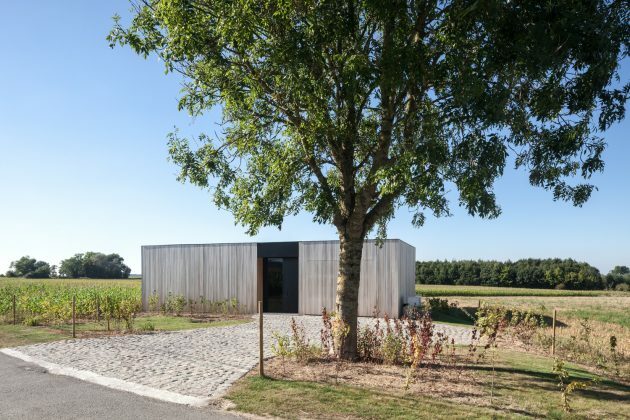 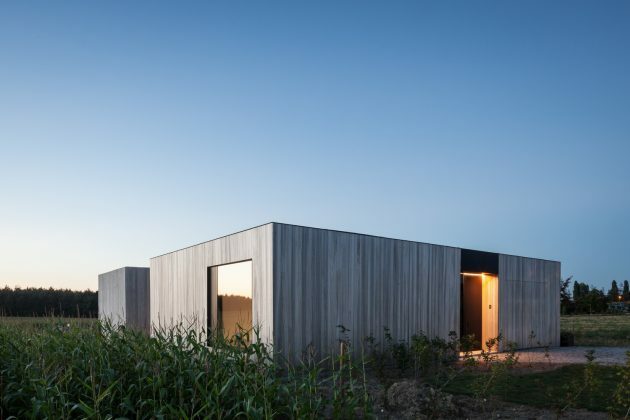 From the architects: “North of the West-Flemish village of Westouter one can find a plot in an open and rural landscape, heavily influenced by the typical agricultural activities in the area. 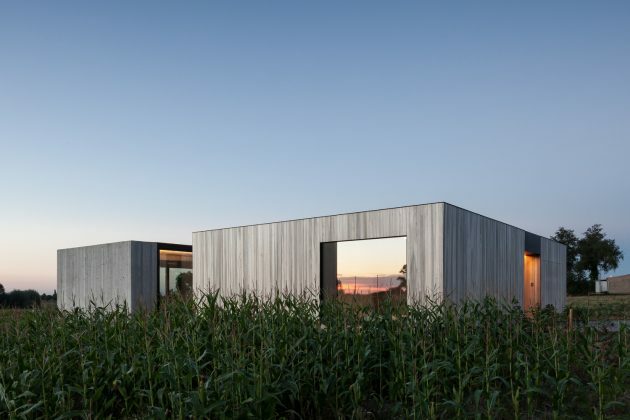 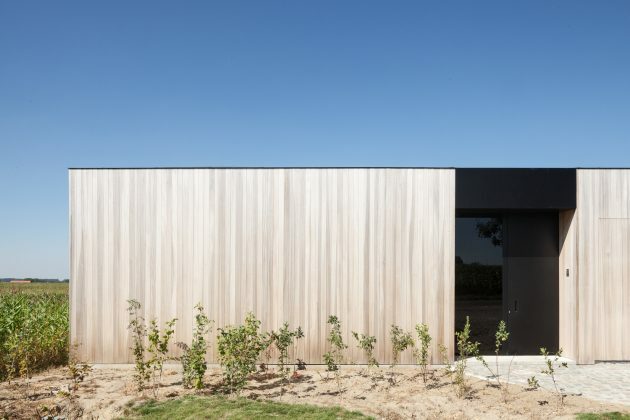 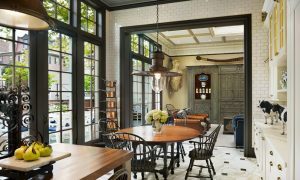 The setting has had a great impact on the design of this single family house, which is solemnly surrounded by a few farms and a group of trees here and there. 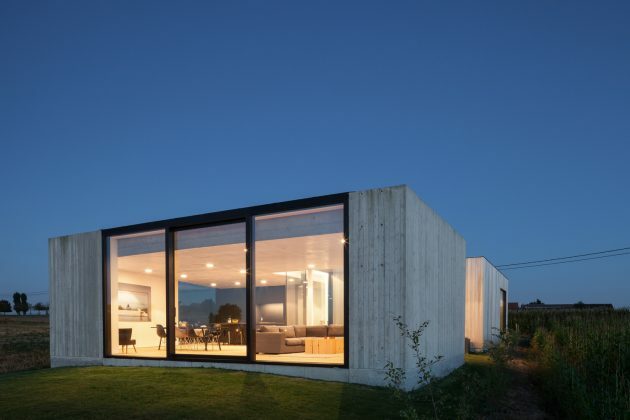 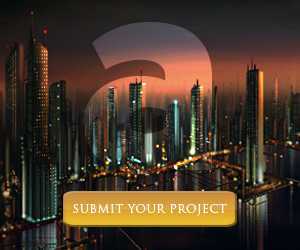 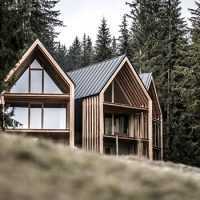 “The living areas are situated at the north of the house. 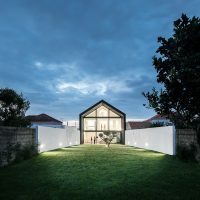 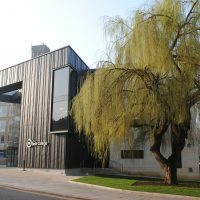 This is also the side were the connection with the surroundings is at its maximum. 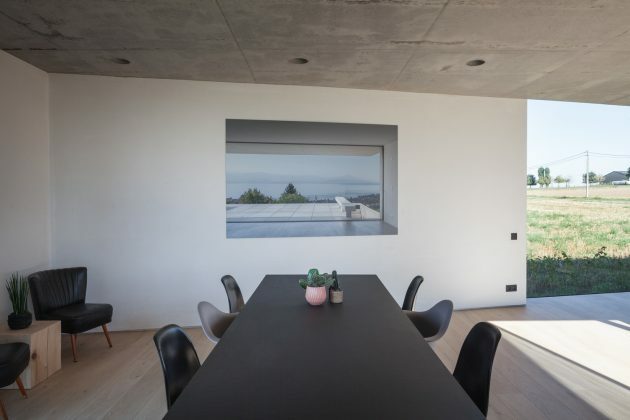 An intimate inner garden creates a private area for the inhabitants and is a gateway for natural light. 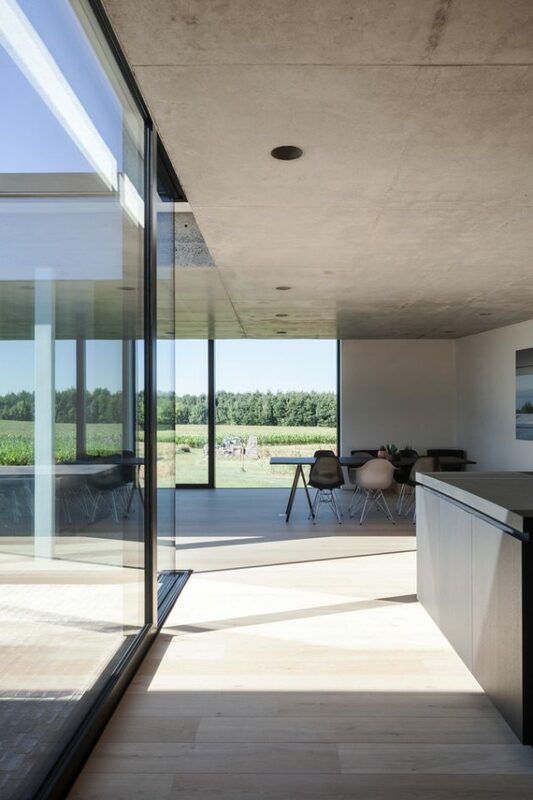 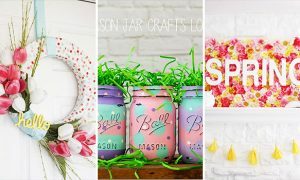 This patio is the heart of the house, where life is directed by the ever-changing seasons.